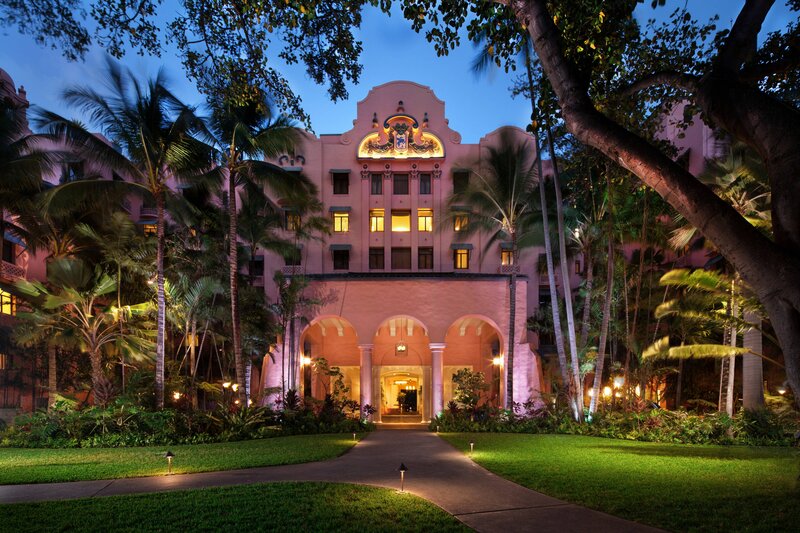 Opened in 1927 and affectionately called the “Pink Palace of the Pacific,” The Royal Hawaiian, a Luxury Collection Resort is a haven of timeless luxury. Modern yet indigenous, the resort offers unprecedented amenities, unrivaled accommodations and exclusive services – all designed to provide the ultimate global trendsetter with a unique luxury experience. From first-class accommodations in the landmark Historic Wing and the magnificent Mailani Tower to world-class dining, the 528-room resort embodies the allure of Hawaii&apos;s spirit and the essence of an indulgent escape. Exceptional Epicurean Journeys can be found at award-winning Azure Restaurant, the original Mai Tai Bar, the Royal Hawaiian Bakery and A Royal Hawaiian Luau – Aha Aina, Waikiki’s only oceanfront luau. The intimate Malulani Pool and private beach area are both complemented with pink-hued umbrellas to match the resort’s signature color. Located in the heart of Waikiki, The Royal Hawaiian Resort is ideally situated as a starting point for a wide range of adventures in the bustling city of Honolulu. Hotel is also known for it&apos;s iconic pink exterior. 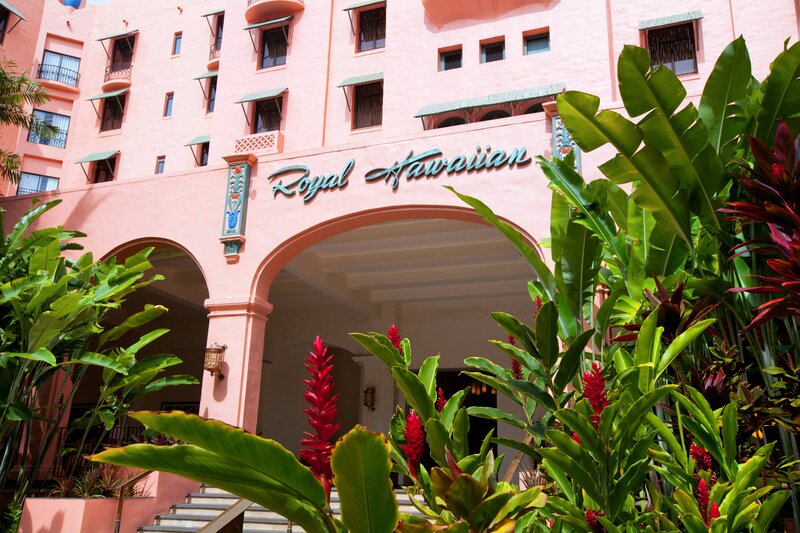 Timeless beauty abounds at The Royal Hawaiian, which has lured couples from around the globe. Below soaring pink turrets are some of the world’s most romantic wedding venues, including lush, intimate gardens and the expansive beach that stuns at sunset. 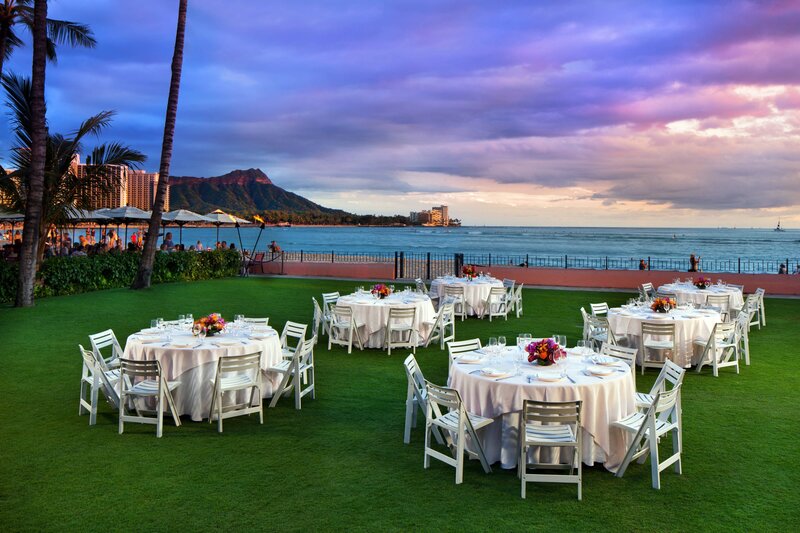 From traditional Hawaiian cuisine and contemporary island favorites, to fresh seafood and American classics, The Royal Hawaiian Resort has a dazzling array of tempting options available day or night. Sweeping views of the Pacific and Waikiki beachfront are always on the menu, providing a one-of-a-kind culinary journey guided by award-winning chefs, including world renowned Chef Colin Hazama. Azure is a world-class restaurant perched along the Waikiki beachfront under the canopy of resort’s dramatic Spanish-Moorish architecture. Positioned alongside the pool and beach, this upscale restaurant provides alfresco breakfast and lunch service. Located steps away from the beautiful sands of Waikiki Beach, the oceanfront Mai Tai Bar is an ideal setting for enjoying the Waikiki scene while sipping on your favorite cocktail and snacking on delicious appetizers. Located on the Coconut Lanai, the Royal Hawaiian Bakery offers the resort’s famous banana bread and freshly baked classic desserts. This bejeweled oceanfront space is adorned with intimate candles, plush banquettes, pillows, and pristine table settings—creating an ambience of exquisite relaxation and upscale dining. Learn about unique and historic hotel artifacts and the cultural importance of the resort’s sacred grounds from the days of the Hawaiian Monarchy.